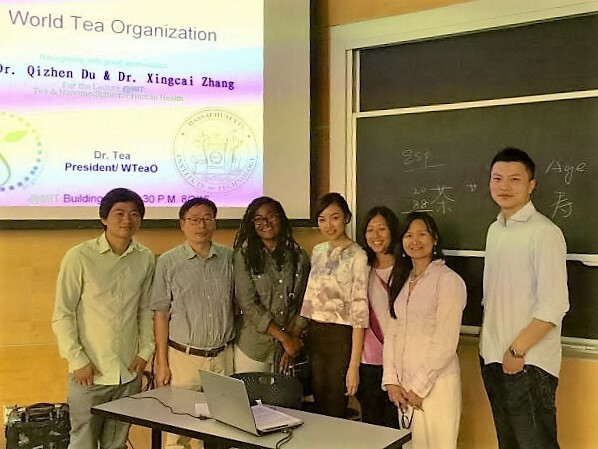 Cambridge, MA, August 5, 2016, — World Tea Organization (WTeaO) Lecture on Tea, Nanomedicine and human health at MIT was given by: Dr. Qizhen Du (ZAFU Food Science Professor) & Dr. Xingcai Zhang （Tea & Nano-medicine researcher) earlier this week. 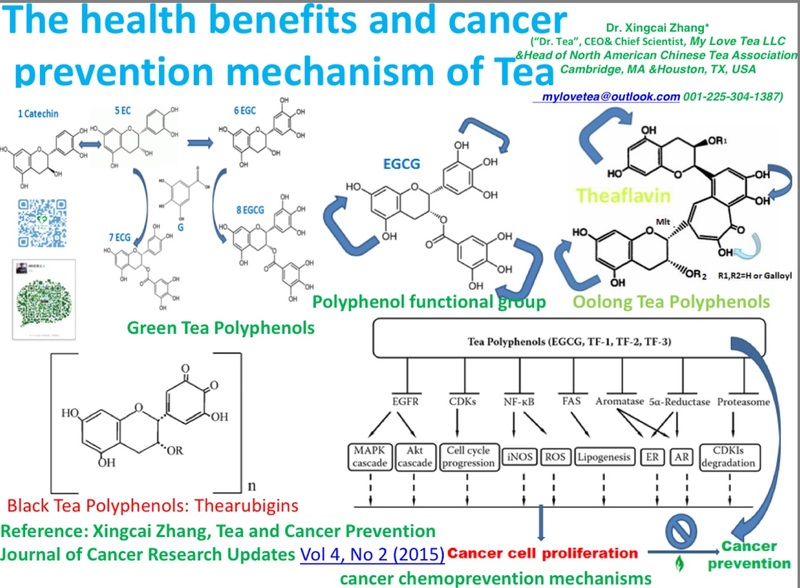 The lecture covered the History of Tea for Human Health, Chemistry and Health Benefits of Tea, Tea and Cancer Prevention/ Drug Delivery System etc by Dr. Zhang and Improving the Bioavailability of EGCG by Nanotechnology etc by Dr. Du. World Tea Organization is a world-wide platform that units and serves world tea associations, producers, merchandisers & tea lovers, and promotes the Tea Science, Tea Health, Tea Art and Tea Culture of “Healthy, Harmony, Pure, Nature” all over the world. North America Chinese Tea Association; Mylovetea.com are representative members of the World Tea Organization. Dr. Tea is the world renowned tea expert on tea science, culture, health, engineering, art, poetry, history who comes from the best known tea base in China: Fujian. Dr. Tea had been lectured at World Renowned Institutes many times, directing tea ceremony for US President`s family and Chinese Consulate Generals and had been interviewed and reported hundreds of times by main-stream medias. Dr. Tea serves a key role in World Tea Organization. Dr. Qizhen Du obtained his PhD from the department of Chemical Engineering in Zhejiang University, China in 2000. His overseas experience include a visiting scholar in the Department of Chmistry in North Carolina at Chapel Hill, USA from 1998 to 1999, and a fellow of Alexander von Humboldt in the Institute of Food Chemisty in Technical University of Braunschweig from 2001 to 2003. He worked in the Tea Research Institute of Chinese Academy of Agricultural Sciences from 1989 to 2000, and in the department of Food Science and Technology in Zhejiang Gongshang University, China from 2000-2014. Now he is the dean of the department of Food Science, Zhejiang A & F University, China. His main research interests cover the separation, bioacitivities and the functional enhance using nanotechnology of narural products. He has published more than 100 papers in reputated journals and has been serving as editorial board members of several international journals. 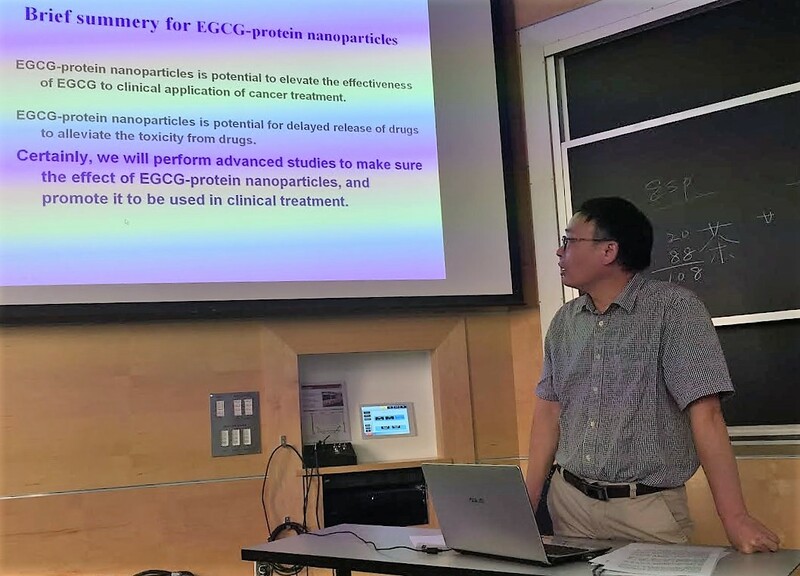 Dr. Xingcai Zhang published paper on <> etc on Journal of Cancer Research Updates, Advanced Drug Delivery Review, Nanomedicine:NBM etc and had given lectures at Harvard School of Public Health, Harvard T.H. Chan School of Piblic Health, Harvard Yen-Ching library Chinese Culture Forum, MIT, BU etc, he is also the founder of mylovetea.com and had been reported hundreds of times by world-wide media. In the lecture, Dr. Zhang started his talk with the History of Tea for Human Health from the medicine use of tea since The God of Agriculture 5000 years ago, the earliest available tea drinking evidence of Chinese Han Dynasty Emperor Jing Di Chemistry on the 2016 Scientific Report paper and taking the relationship between tea and the health of Tibetan people as an example, and then he shows the Chemistry (composition etc) and the Health Benefits of Tea, followed by his paper on << Tea and Cancer Prevention>> and introduced the Drug Delivery System for tea polyphenol for cancer treatment. Dr. Zhang also talked about the tea health and culture studies of Tang Dynasty Lu Yu and The Bible of Tea and Tea for Human Health in Modern Time etc. What a resourceful tea science, health, hostory and culture lecture. Those research clearly shows the effect of tea polyphenol and their Nanomedicine drug carriers on cancer treatment and UV protection etc, which arouses very interactive and indepth discussions. As the president of the World Tea Organization，Dr. Tea recognised the contribution of the speakers and offer them the positions as the advisory board member of the WTeaO and welcome new members from world tea associations, producers, merchandisers & tea lovers. The lecture draws huge interest among audience. Free tea tasting of different varieties are also offered by mylovetea.com and are appreciated by audience. The planed lecture from3:30-5:00 p.m. lasts until 6:30 when Dr. Du and Dr. Zhang have to rush to the appointed interview by Boston Chinese First Radio Station. The last people left the lecture took a picture and they include people from philosophy department of Harvard University, MIT, Harvard Medical School BWH, coffee shop owner, restaurant owner and tea lovers etc. For more information about World Tea Organization: please contact WTeaO@outlook.com, WTeaO.org, or call 225-304-1387.